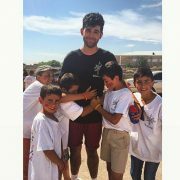 About ten years ago, after hearing endless stories about Youth Corps from alumni, from Sosé, at AYF Camp and at AYF Juniors meetings, I had given an oath to myself that the year 2016 will be the year in which I will finally embark the journey of AYF Youth Corps. The year has finally come, and the suspense of counting down the days to depart with only a few days left has made me even more impatient. 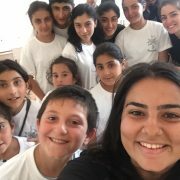 I feel as though this year, in a strange way, symbolizes the commitment and determination of the Armenian Youth Federation even more tremendously; after the scare of the massive ceasefire violations in Artsakh, many were concerned with the possibility of holding back the Youth Corps program for this year. However, I am proud to say that I will be a part of a group that will continue the program despite such discouraging efforts. 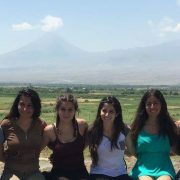 It only goes to show that the AYF, in the homeland and in the diaspora, is always consistently on the frontlines for the Armenian nation. 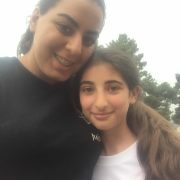 I, as a member of the AYF Orange County “Ashod Yergat” chapter, am proud to also be able to be at the grand opening of the Gyumri agoump—since the renovations were made possible by AYF OC’s launch of the “We Are Gyumri Campaign.” There is a symbol that we, as a people, will always continue to build—and rebuild, overcoming obstacles to better our nation. 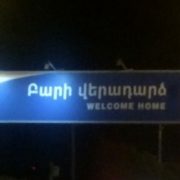 Despite the excitement, I fear some challenges that I will face: to be away from home for six weeks, the language barrier between eastern and western Armenian, and all the tasks that I will be responsible and held accountable for. However, I look forward to overcoming every single one of these challenges. 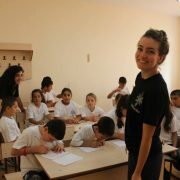 I look forward to leaving a lasting impact on the Youth Corps campers; I look forward to learning from the campers just as much as I hope they will learn from me and my peers; I look forward to finally understanding the eastern Armenian dialect and to be surrounded by the speech of our beautiful and rich language; I look forward to being in my homeland to make a difference with my ungers by my side. Youth Corps 2016 has finally come, and I cannot wait to start my journey.